It’s 6am and there’s hardly any light in Lakshmi’s hut in Bangalore. 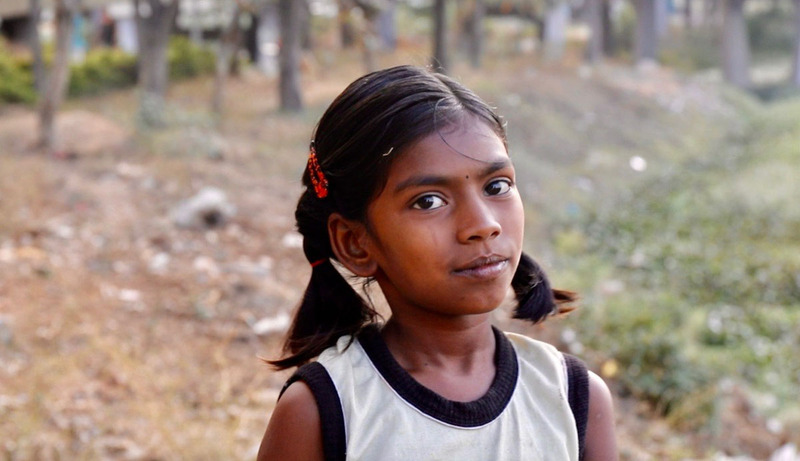 The 9 year old pulls on her clothes and waits for her mother, Devamma, to make breakfast. Once she’s eaten, she’s off, on the hunt for water. Lakshmi is one of almost 11 million citizens of Bangalore. 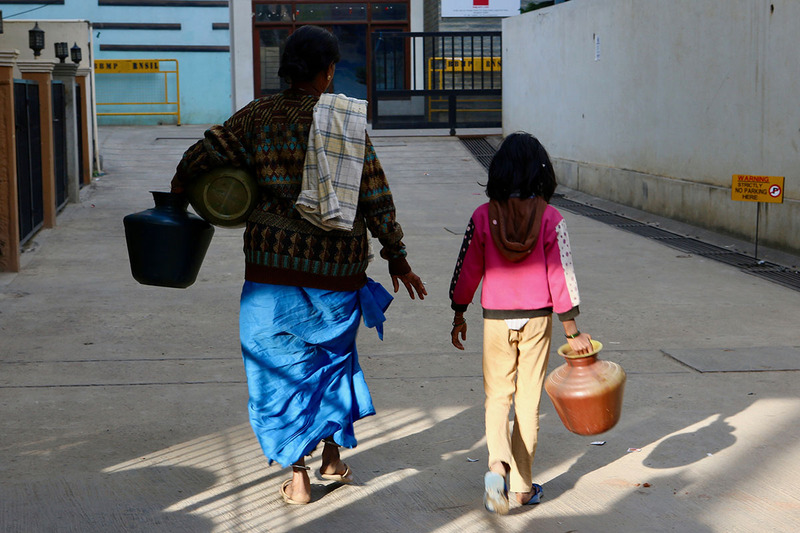 And while her search for water is particularly difficult, everyone here is faced with a gnawing truth: Bangalore, this city once known for its lakes is running out of its most precious commodity: water. 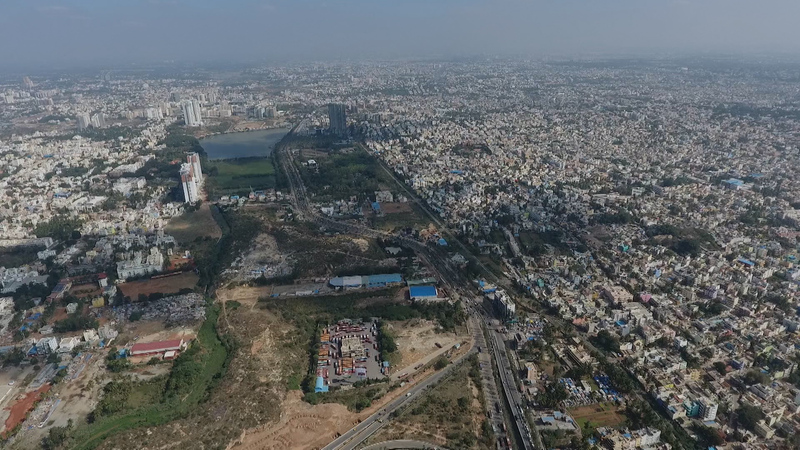 Bangalore is a metropolis. It’s known as a high tech hub in India. People are constantly pouring into the city looking for jobs. With all of those people, the drain on the city’s infrastructure and therefore water supply has been dramatic. Development in the city has grown at an unprecedented rate since the late 1990s. In just 14 years, about 85 per cent of the cities water bodies have disappeared. This leaves many citizens concerned for access to that most basic necessity. 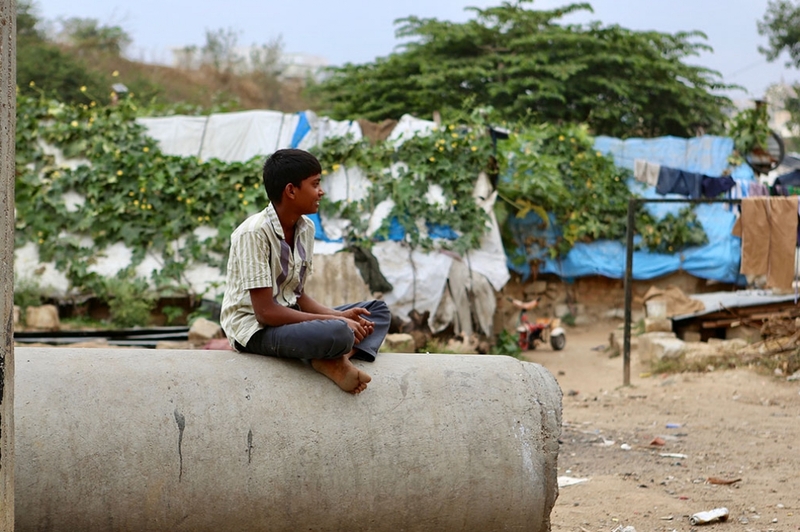 Lakshmi lives in an informal settlement. A place where the poorest people in Bangalore live together. They work in the city and some of their children attend school, but money is tight and they do not have regular access to water or other utilities. They borrow from neighbours who have wells, they use overflow from others who have extra to share or they find still water, wherever it may be. 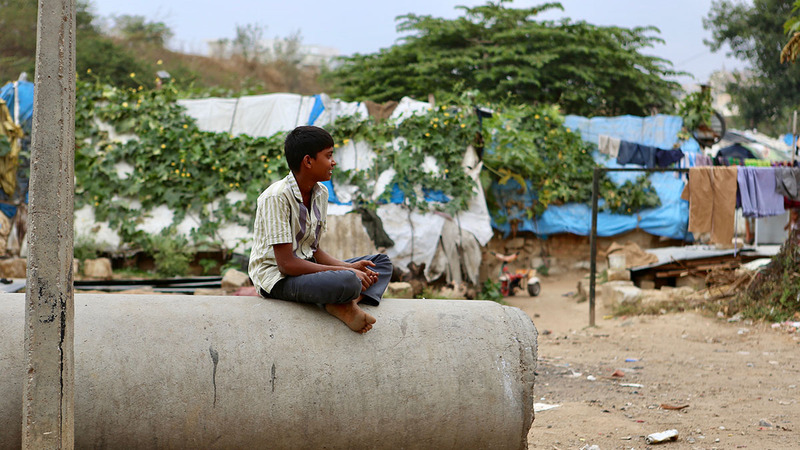 Of roughly 11 million citizens in Bangalore, a quarter live in informal settlements. 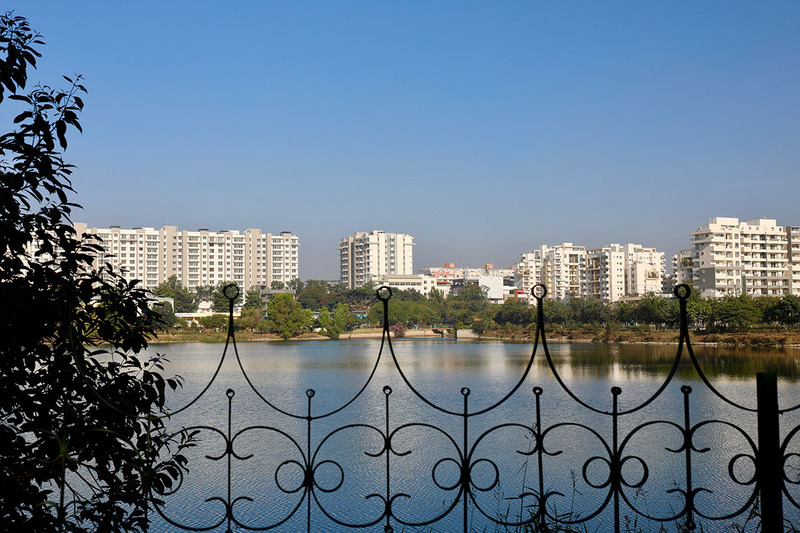 One of the few renovated lakes in Bangalore, Kaikondrahalli Lake, surrounded by a fence to keep out people living in informal settlements. These containers are used to collect and store water for days at a time. A young boy refilling his water pots. He’s lucky the tap is still running, this means he will get up to 6 litres that night. Lakshmi gazing into the dried up lake near her home. 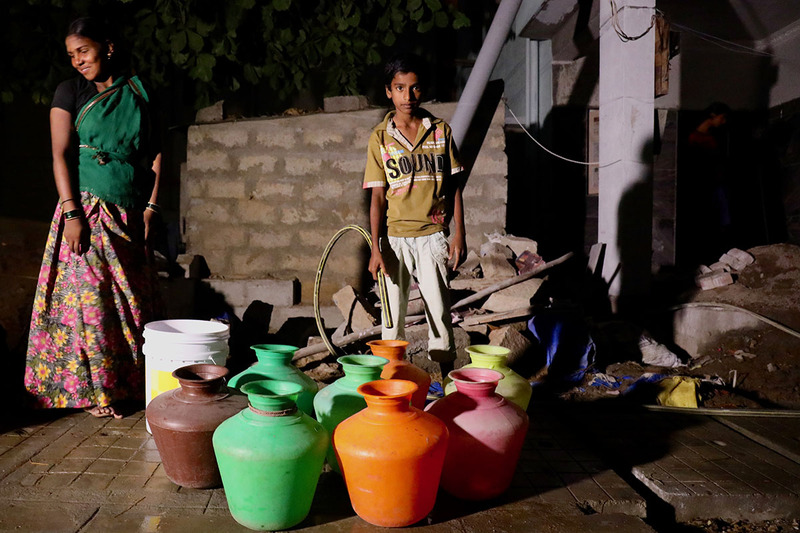 Access to water is very unequal in India’s Silicon Valley. Many people rely on wells, that are often contaminated. 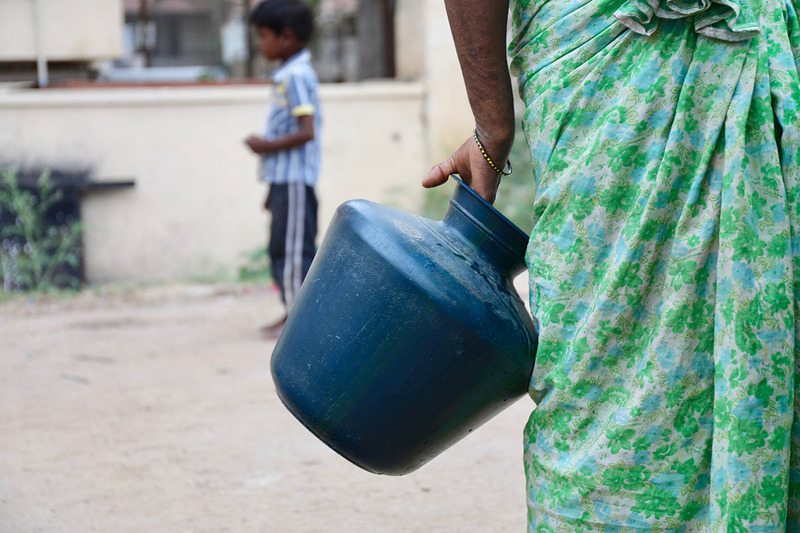 Lakshmi collects water for her family every day, often carrying more than 10 litres at a time. Officials are far less pessimistic, but they are well aware of the water problem. They have implemented a rainwater harvesting system requirement for new homes. There are also some lake restorations underway, but so far they have not enforced any specific water use restrictions.